AMOS 8 is a planned communications satellite by the Israeli Spacecom to replace the failed AMOS 6 satellite and its temporary replacement AMOS 7. 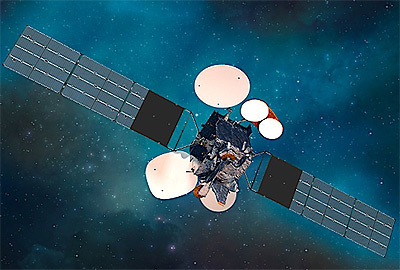 AMOS-8 will include flexible high power Ku-band and Ka-band payloads with steerable antennas to enable customers to deliver various added value services. Spacecom has selected in March 2018 SSL to build the satellite based on the SSL-1300 bus. The satellite is designed to provide service for a minimum of 15 years. AMOS-8 will be launched in 2020 on a SpaceX Falcon-9 v1.2 (Block 5) rocket. It will be co-located with AMOS 3 at 4° West. In September 2018 it was announced, that the satellite would not be built by SSL, but by the Israeli IAI to preserve the satellite building capability, although at a much higher price. This AMOS 8 will be similar to the original AMOS 6.